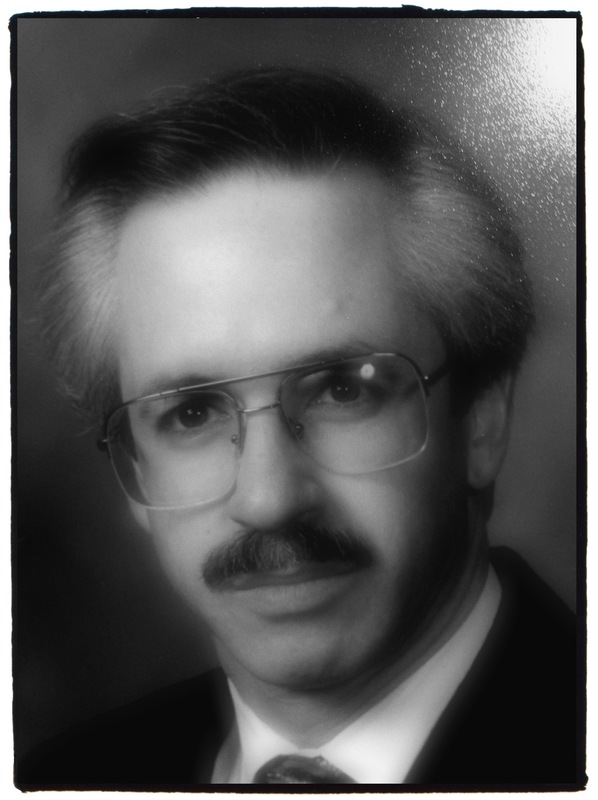 James Albert Katoff was born on July 2, 1950 in Hollis, Queens to Janice and Roy. After moving to Valley Stream in ’53, ‘Little Jimmy,’ grew up watching the Lone Ranger and reading Hardy Boys novels. A shy boy, he got good grades, made his parents proud and had a knack for making people laugh. He was in many ways the perfect counterpoint to his popular, elder sister Lynn. He preferred the company of his dog, Buttons. The Katoff’s lived comfortably, but not lavishly and enjoyed spending weekends on the family boat; the LynJim. Jim came of age in the 60’s. He graduated Central High School a clean cut young man in 68 and returned from Rutgers University a few years later with a degree, shoulder length hair and a beard. I think of his change in the context of the music he loved. Music he taught me to love. The Beatles, Bob Dylan, Simon & Garfunkel, The Who. Some of my fondest childhood memories are in the car with Jim, windows rolled down–music at full volume. After briefly considering life as a history teacher, his career began at the Galeston Corporation selling housewares, for which his enthusiasm was tepid at best. He would soon meet Carolyn Laby, and wed in ’75. His first son, Jeremy, his ‘Little Buddy’ was born in ’76, and I followed three years later. He began working with his Father at Kings Premium. He loved working with Roy, who was a natural salesman, but Jim; not so much. He just didn’t like to schmooze. Over the years he would push himself and grow into the role. The 80’s were a busy and happy time in Jim’s life. In ’83, he purchased his home in Valley Stream. Raising a family suited him well. He loved watching football with Jeremy, who mystified him with his encyclopedic knowledge of sports. I frequently joined them on the couch rooting for The Giants. My father coached my little league team, where he was invited to join a few of the other Dads for a Sunday morning game of pickup softball. They say baseball is a game of heroes; and most would name them DiMaggio or Mantle, but not Jim. His heroes could be found on south field of Woodmere Middle School and they bore the names Beecher and Coleman. He loved every man who stepped out on the field, even those he occasionally could not stand. For those few hours, he was a kid playing sandlot baseball with his brothers. After, he would return home sweaty and tired, with a story of the great catch he made, or a woeful tale of how someone pulled his pants down. In summers we visited his parents boat, the Lynjim. We would depart from Lindenhurst and head out to ‘The Spot’ near Fire Island, the perfect place for swimming, eating Zorn’s chicken and drinking Bloody Mary’s. Jim enjoyed the simple things like that; a cold beverage, his book and a place to nap in the sun. My father had a reputation for being conservative with money. I’d like to share how he passed on that value to me. The carnival was in town on the Village Green. We drove by and I begged him to take me; he rebuffed my advance as per usual telling me that it ‘was a waste of money.’ I persisted, he turned back and pulled a crisp twenty out of his money clip. Jim always had a money clip. Twenty dollars was a fortune to a boy with a $5 allowance; and this was our budget. We spun round in circles on the graviton and ate zepploes, but the money disappeared quickly. Walking back to the car I told him “that was awesome, but I wouldn’t spend $20 that way again.” He smiled; lesson learned, money well spent. The 90’s brought change. When I think of Jim, it is often of the strong, confident man he was in his 40’s. A regular at the gym, he was 155 pounds of muscle with a trim waist and beautiful salt and pepper hair. He made his defining career move by leaving Kings and joining the Bemak brothers at the Premins Company, taking most of his clients with him. 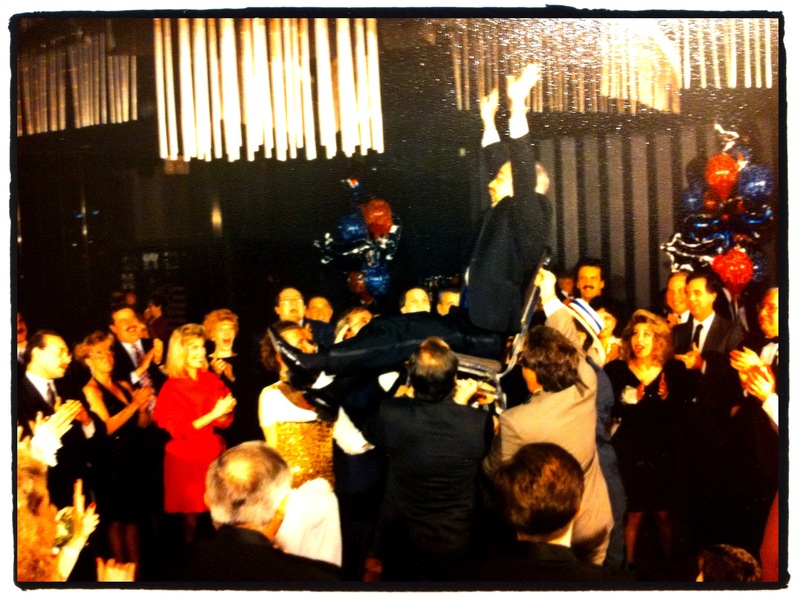 There is a picture from my Bar Mitzvah in ’92 of Jim being lifted up in the chair during the Horah. Most people look somewhat nervous or surprised up in the air like that, but not Jim. He is shouting with joy, arms and legs hoisted triumphantly in the air. That’s my Daddy. Through transition he found comfort at our family congregation Temple Gates of Zion, regularly attending services and becoming an active member of the community. Jim had a wonderful singing voice and learned to lead services. In the fall of ’97, his sister Lynn asked him if he wouldn’t mind giving Caryl a ride to Massachusetts for her sons engagement party, as they were both single. A few weeks later these two ‘old friends’ were dating and while it would be years before they would formally wed, they were soon inseparable. Our family’s joined together and Jim got his beshert along with two more children. Shoshanna; the couragous, doting daughter he’d always wanted and Adam, the gregarious son that was, well, perfect. He loved his new, expanded family. He and Caryl finally wed in ’04. Together, they enjoyed hosting dinners with friends and family around an ever expanding dining room table. 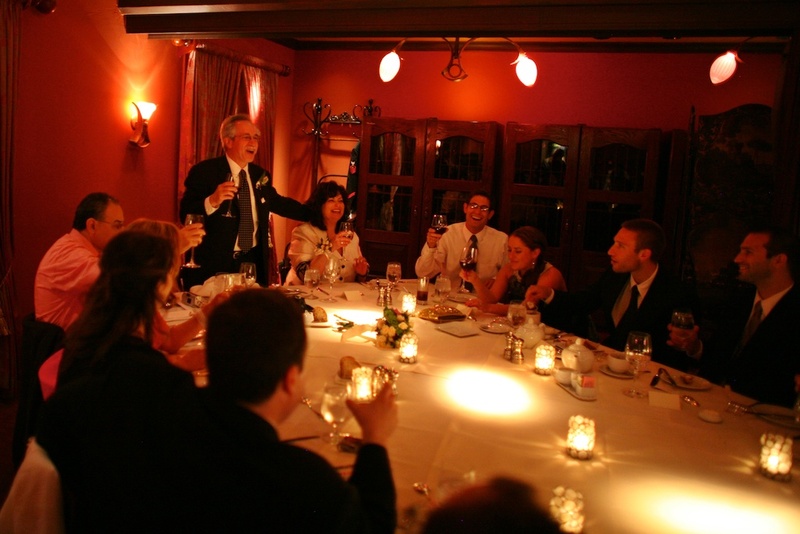 Jim loved sitting at the head, Corona in hand, making jokes and testing his guests knowledge of famous movie quotes. The last five years of Jim’s life were challenging, and Caryl along with an ever growing support crew were there for him through it all. First it was his heart, then his hip, then Cancer. Jim was fond of saying that “faint heart never won fair maiden.” His job was to fight and that is exactly what he did. And in the mean time, he tried to enjoy his retirement. There were two high points through the storm that stick out. Standing under the chuppa with Jeremy and Randi on their wedding day gave him the comfort that his ‘Little Buddy’ had grown into the man he was quite proud of. Holding his grand-daughter, Adam and Miryam’s baby Georgi Seid in his arms six months ago, he knew that his legacy and family would carry on. 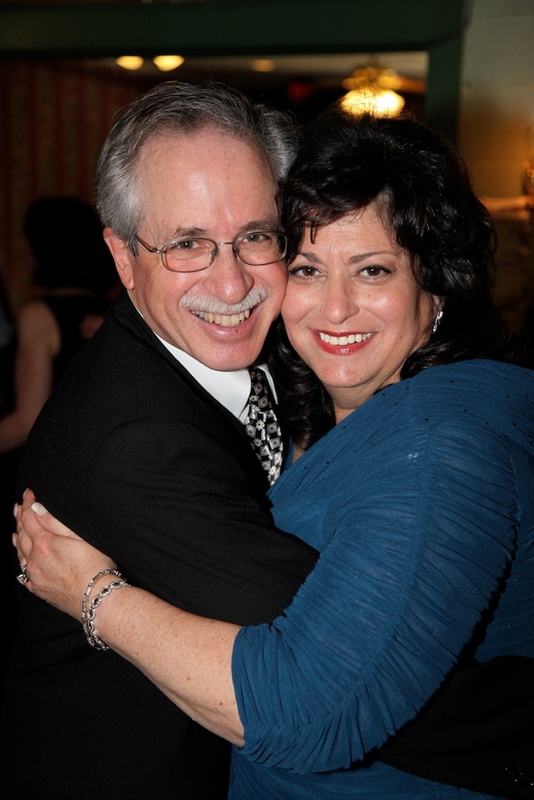 -The team of Doctors and Nurses at Sloan Kettering Memorial and Home Hospice for giving Jim as much time and comfort as they did. -The Bemak’s and his colleagues at the Premins Company were incredibly supportive through this process, keeping him on board for as long as possible. 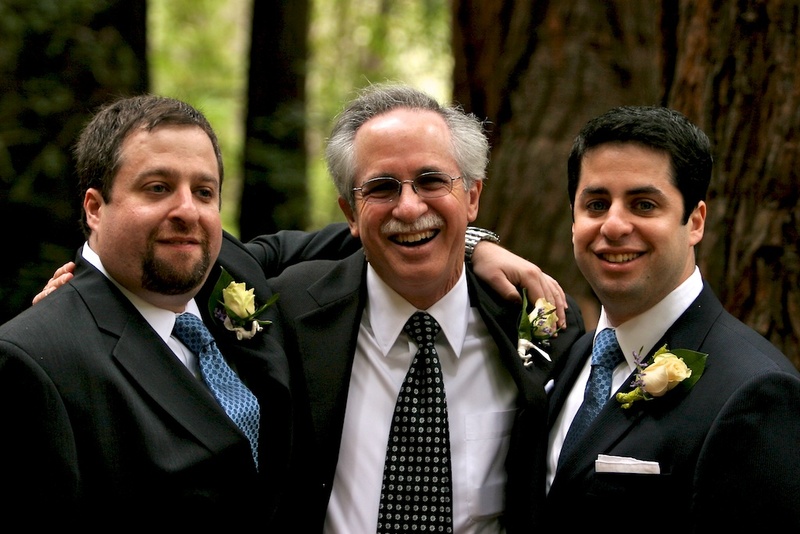 -The entire Abramowitz family, but especially David and Josh for sharing their medical expertise to ensure that Jim received the best care. -The friends and neighbors who supported Caryl and Jim, and got up at the crack of dawn to give rides to the doctor or wait for nurses – The Sutters, Klines, Stones, Charlestons, Manns, Darbys, Dancygers, Stollers, and the Jarnishs. -A man needs work and projects to occupy his imagination, his neighbor and admitted ‘man-crush’ Tony kept him engaged all the way until the end, sprucing up his home, sipping single malt scotch in the process. And with him came Jim’s ‘pal Dylan’ bringing a very special love and affection. -His daughter Shoshanna and her girlfriend Melissa were there every day, along with a cast of friends to cheer up Jim, to keep him company and hold Caryl through these hard times. -Caryl – you were the love of his life and made his dreams come true. I thank you from the bottom of my heart for loving and caring for my father. You were his partner, supporter and caregiver. You are an amazing, strong woman and you have my undying love and admiration. I am grateful for you and so very sorry for your loss. I believe that while Jim has left this world, he lives on within us. He lives on if we keep his memory alive. I ask you to pause for a moment. Think of a time you shared with him. How he affected your life. Hold onto that memory. Share it with others. This is such a beautiful tribute to your dad. I worked with Jim at Premins and was so so sad to hear about his passing. He had such an infectious and fun personality, and I am so sorry for your loss. Jim is very much in all of our thoughts and prayers and we will all miss him! Thank you, Carolyn. My Dad was a lot of fun, and I’m glad you enjoyed working with him. He really enjoyed the years he spent at Premins. You probably don’t know me, but I grew up with your Dad and Lynn on the LynJim and my Dad’s boat. Our parents became friends at the Temple and soon Lynn was my babysitter. She tought me how to smoke, and we did so out the front window of our house! My favorite memory of your Dad was the time Roy and Jan and my parents Amy and Jack took the boats out. We were off Jones Beach somewhere when the parents tied lines around our waists and tossed us over the side to go swimming. Meanwhile there were all these other boats coming toward us yelling to go back to shore. We didn’t find out until later that there was a shark alert and our parents used us for shark bait! I am deeply saddened to learn of your Father’s passing. I bumped into him and Caryl about 8 years ago. It was so good to see him at the time. He was taken way too soon. He is in my thoughts and prayers. Thank you for reading and posting a comment, Deborah. I’m not sure if we have met, but I do remember your father, Jack Mark, very well. 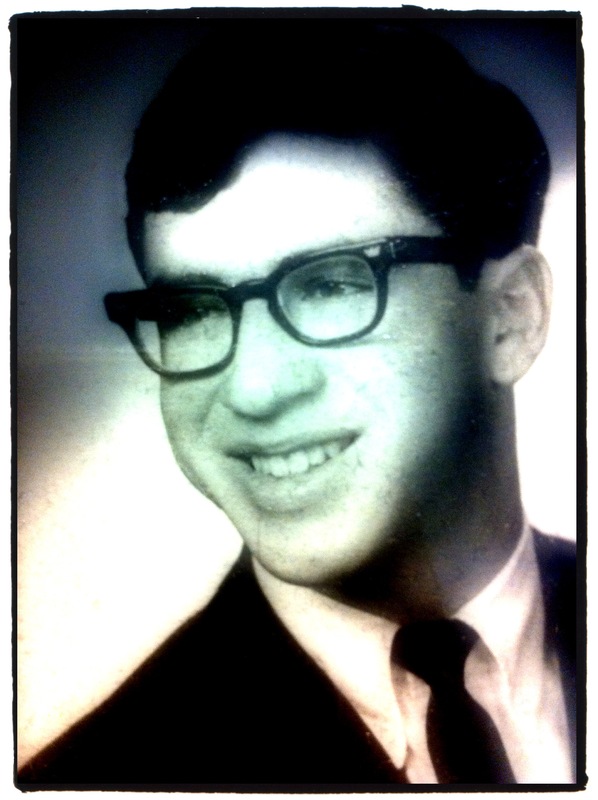 He was at my Bar Mitzvah and a dear, dear friend of my grandfathers. If I remember correctly, he blew the shofar at Temple Gates on the High Holidays, right? I have a vivid recollection of seeing this on Rosh Hashanah as a child. Are you also related to Roger Blumenstock? I believe he was Jack’s grandson. I grew up with Roger. I am Roger’s aunt! He is doing well and is married and living in Queens. Thank you for remembering my Father also. Yes he blew the shofar at Temple for many years. He passed away almost 2 years ago. My Mom is still alive and I take care of her. Is your grandmother Jan still alive? Also, how is Lynn? Please pass on my deepest condolences as well. I also remember you and your brother when you were small children, but I doubt you would remember me. Again, I am so sad about your Dad. He was one of the good guys. Next Next post: Oy, I’m a Dad!